Koryu Bujutsu - Shibucho/Jikimon Kenshi Komei Jyuku Iaijutsu - Senior Instructor. Head Coach - House of One MMA Fight Team. Lorenzo Police Dept./Slaton ISD Police Dept./ Front Line Security Agency/ Allegiance Security Agency. Koryu Bujutsu – Shibucho/Jikimon Kenshi Komei Jyuku Iaijutsu – Senior Instructor. Head Coach – House of One MMA Fight Team. Cheryl is a well-rounded dancer and athlete with an extensive career in the fitness field as a fitness instructor, personal trainer, kickboxer, and coach. She is also a published writer, magazine model, aerialist, and award winning dancer and choreographer. Cheryl began a career in fitness in 1994 and has served in many aspects of that field for decades. She currently teaches Focused Flexibility and Bootcamp classes as supplements to and cross training for the classes that ArtFit offers. She currently accepts a few personal training clients as her time allows. She began taking kickboxing classes and immediately fell in love with the sport. After several years of full-contact competitive training, she was given the opportunity to teach and coach a kickboxing team. Cheryl led this team to many local, regional, and statewide titles through Texas Amateur Contact Karate Association for almost a decade as the only female coach in the area at that time. She recently has rejoined our martial arts team and is teaching and coaching again. Cheryl is the head of the dance program at ArtFit where she oversees all of the classes, teaches students, and mentors professional dancers and instructors. She has extensive training in ballet and modern dance as well as the many dance styles that she currently performs and teaches. She has been training and performing in many forms of dance for over thirty years and has spent years studying movement and dance theory. 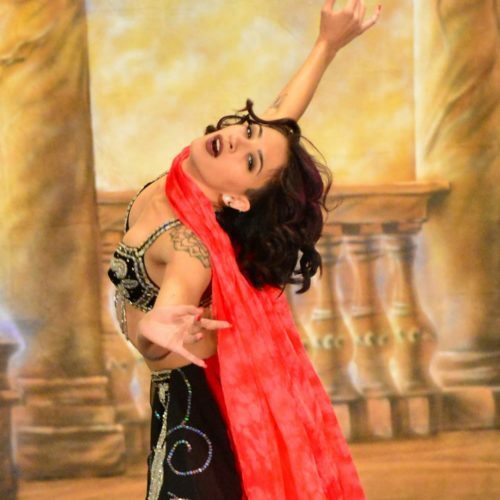 Cheryl has continued her training to specialize in the Egyptian style of dance by studying with world renowned dancer Amaya, her mentor, as well as many of the best dancers in Egypt. She has incorporated the graceful movements and unique staging of ballet into this in-depth study of Egyptian movement, culminating in the innovative and graceful styling that makes her a popular performer across the United States and beyond. She began a foray into pole dancing, over a decade ago, when encouraged by a friend to do it for fun and fitness. Obsessed with dance and any physical challenge, this dance styled appealed to her on many levels. Cheryl has sought training with the best dancers in the field and trained extensively with Pantera Blacksmith, a pioneer of the sport. She has combined it with her extensive professional experience in the fitness field to provide the students at ArtFit with a fun, educational, supportive and safe environment for pole dance classes. This same desire and love of adventure pushed Cheryl to explore aerial silks. This awe-inspiring and beautiful art form appealed to her on many levels. She trained rigorously for years with, circus performer and inspirational instructor, DeAnna Carney McCandless. Cheryl brings this curriculum and high-level of instruction to ArtFit. It is her goal to bring art and fitness together so that each class appeals to students in a physical fitness and an artistic way. Lyra completes Cheryl’s popular aerial trifecta. She has trained with Kenali Kendrick, of Huston’s Fenyx Aerial, and enjoys creating beautiful shapes and dynamic moves on this apparatus. Cheryl brings all of her dance, fitness, and aerial training to her lyra students as an expressive art form and comprehensive and safe curriculum. Cheryl has traveled the U.S., for decades, searching out the most talented and informed artist to study with so she can bring the highest level skills to Lubbock. She hopes to inspire others through movement and enjoys helping women to become more healthy and vibrant while expressing themselves through dance and creating confidence through dance and martial arts. Olivia was raised in the dance studio and the dojo. She grew up mimicking the movements that she saw every day. She was belly dancing by age 3 and performing by 5. She has traveled to California, Oklahoma, and New Mexico to study and perform. In addition to tribal fusion and cabaret belly dance, she has a passion for hip-hop and has studied it extensively since she was 7 years old. Olivia's hip-hop mentor, former Planet Funk Dancer, Taz Bright has passed on a love for street style hip hop to her along with an appreciation for the intricacies of the dance. This well round young lady was also in the first class of Budo Babies that began in 1998 and now has, at times, served as an instructor of this young children’s karate class and keeps her skill up training in kickboxing. Olivia’s grace, strength, and exquisite interpretation of music have made her an accomplished pole dancer as well. She began learning pole dance over a decade ago, training with her mother and internationally known instructors like Pantera and Felix Cane. She has continued to expand her aerial career into silks and lyra. She has trained extensively with, circus performer, DeAnna McCandless and, Fenyx Aerial’s, Kenali Kendrick. Olivia’s exquisite musicality and ability to express emotion through dance have forged her personal dance style. You can see this lovely lady at ArtFit most days teaching pole dance, hip-hop, aerial silks, and lyra. In addition to tribal fusion and cabaret belly dance, she has a passion for hip-hop and has studied it extensively since she was 7 years old. Olivia’s hip-hop mentor, former Planet Funk Dancer, Taz Bright has passed on a love for street style hip hop to her along with an appreciation for the intricacies of the dance. Megan Hambright has been a dance student and performer since 2002. She has studied aerial silks, ballet, jazz, modern, lyrical, and Irish step dancing. She graduated with a Bachelor of Art in Dance from Texas Tech University in 2011, and has a dance teaching certification. 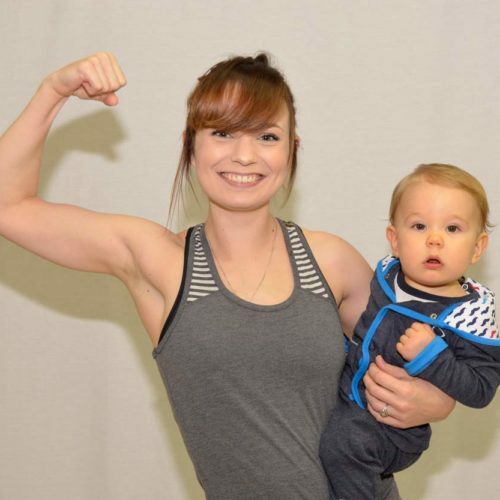 She began classes at Artfit in 2015 and has previously been one of our full time instructors, has helped train and mentor other instructors, and is currently a substitute instructor at ArtFit. Carla is a self-professed “dog mom” who has been a belly dance student and performer since 2006. She danced for 2 years with Jewels of the Nile, under Cindy Loader. Then moved to Rocky Mountain Belly Dance Company (RMBDC) and danced with them for 5 years, training with Renee Jensen and Renee Beri. She regularly performed several times a year, all through Northern Colorado. She came to ArtFit in 2014 and joined more than the belly dance class. She is now a gifted dancer and aerialist. She can be seen performing regularly with the ArtFit performance troupe. She completed teacher training and mentorship programs with Cheryl in 2015 and has been teaching weekly at ArtFit since 2016. Alex has been an aerialist with Artfit for 2.5 years. She started in Pole dance, learning to hone her strength and flexibility, and getting the opportunity to perform with the ArtFit performance troupe. After taking, a short break from dance to expand her family, she came back and began learning the art of Aerial Silks. She has completed her Beginner Level teacher training in aerial silks, studying under longtime professional teachers, Olivia and Megan. She continues to train, learn, and perfect her art through our mentorship program with Cheryl. 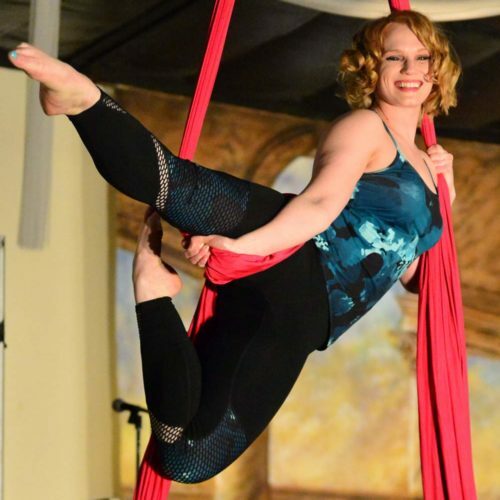 She has recently begun teaching a beginner silks class and is blossoming as an instructor. She has a great passion for dance in all forms, but her heart is always in the art of Silks. 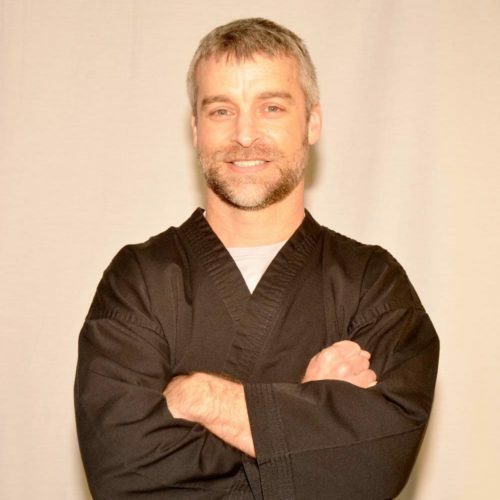 Eric has 19 years of experience in various styles of Martial Arts including Taekwondo, Krav Maga, NoGi Ju Jitsu, Kickboxing, MMA, and Shotokan Karate. He also spent three years in the US Army as a Forward Observer with the 82nd Airborne. Eric has been training with Walt Bushey since 2007 in MMA, Kickboxing, and Shotokan Karate. 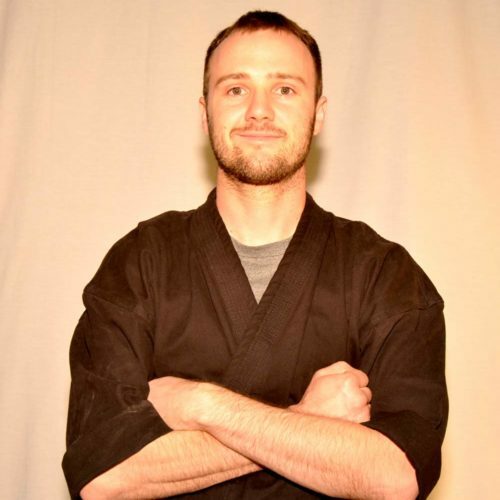 He has earned the rank Black belt in Shotokan and currently teaches one of The Adult Karate classes at ArtFit. 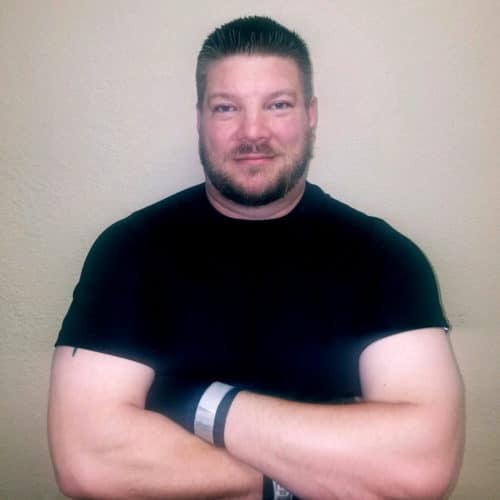 Darren has a background in a variety of Martial Arts including Taekwondo, boxing, Muay Thai, and military defensive tactics training and is a US Navy veteran. He has been training at ArtFit under Walt Bushey since 2016 and has earned his Brown level II and is working toward his black belt. 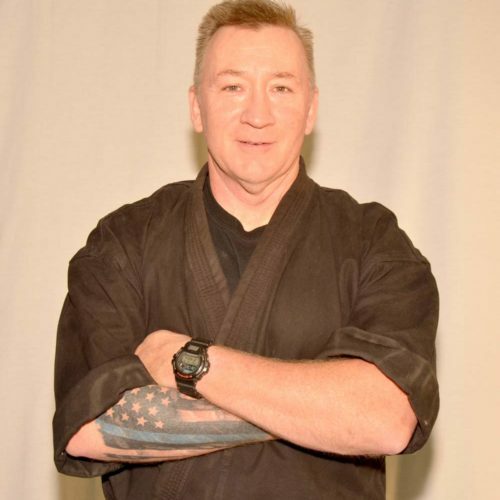 He has also trained Kickboxing and MMA under both Walt and Cheryl Bushey and is assisting in both the Shotokan karate and kickboxing/MMA classes. Carl began kickboxing with Cheryl Bushey in 1999. He has traveled and competed with the kickboxing team. Currently, in addition to continuing his training, he assists in classes, teaches when he is needed, and acts as a sparring partner and coach for many of the kickboxing students. He enjoys introducing new students to kickboxing and believes mastering the basics is the most important technique. In 1973 Bruce Lee hit the scene and Paul was hooked. 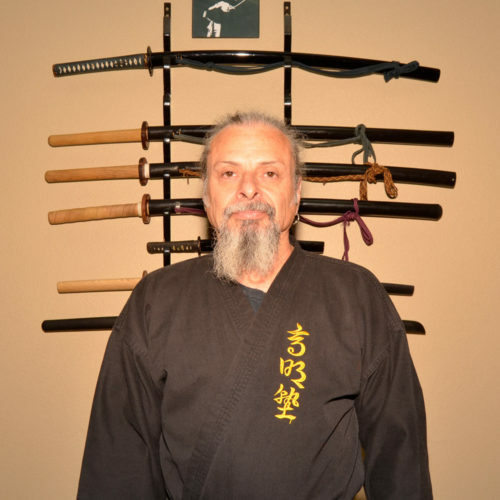 He began studying Martial Arts in 1974 at Black Dragon Karate in Roswell, New Mexico where he received his 1st-degree black belt in Kobudo and karate. At 17 years old, Paul moved to Las Cruces New Mexico and studied at the Academy of Martial Arts and received his 2nd-degree black belt. Paul served the United States Army from 1986 to 1989. He rediscovered martial Arts after meeting Walt Bushey in 1998. Paul has been studying Japanese Swordsmanship with Walt since. He has also had the opportunity to train with Sekiguchi Komei Soke, the 21st Grandmaster of Muso Jikiden Eishin-Ryu, on his yearly visits to Lubbock. He is currently acting as an assistant instructor in ArtFit’s swordsmanship classes. Erika started her journey at Artfit after having a spinal fusion in her early 20's. She needed something more than the usual physical therapy to get her body back where she wanted it, and fell in love with pole dancing. With the help of Olivia and Cheryl, she has built up the strength needed to overcome her injuries. She is currently in ArtFit’s teacher training and mentorship program and can be seen most days checking people in at the front desk, helping first day dancers feel more comfortable, or working on new moves in class with Cheryl. Erika started her journey at Artfit after having a spinal fusion in her early 20’s. She needed something more than the usual physical therapy to get her body back where she wanted it, and fell in love with pole dancing. With the help of Olivia and Cheryl, she has built up the strength needed to overcome her injuries. She is currently in ArtFit’s teacher training and mentorship program and can be seen most days checking people in at the front desk, helping first day dancers feel more comfortable, or working on new moves in class with Cheryl. 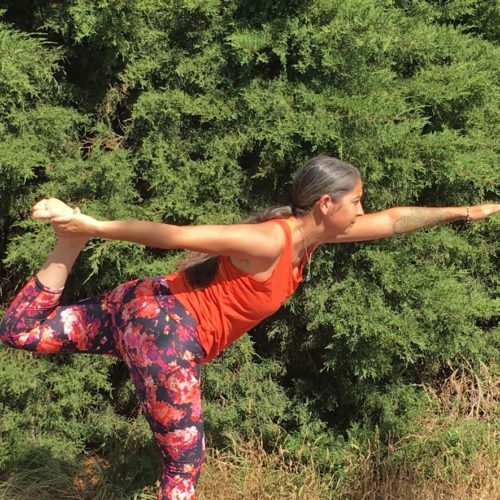 Jessie began doing yoga after having her first child in 2001 and became a certified 200 RYT yoga instructor. She decided to come to work at Artfit to create a yoga class that any and everybody can do. Jessie is 41 and has been married for 19 years. She has 2 teenage boys and lives on a small dairy goat farm. She makes use the milk to make her own artesian soap. Besides yoga and her animals, this creative lady has played guitar for 28 years and plays in the worship band at her church.